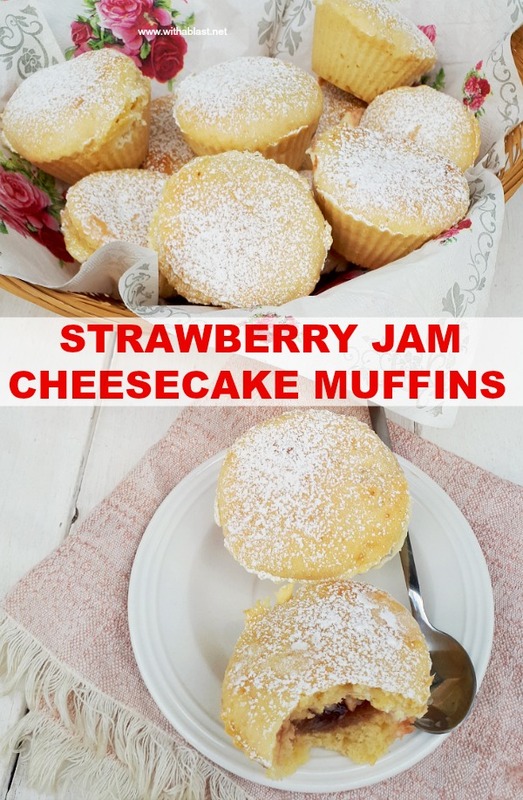 Strawberry Jam Cheesecake Muffins are one of my personal all time favorites to serve at breakfast ( brunch ), tea time, and we also enjoy the Muffins for desert. 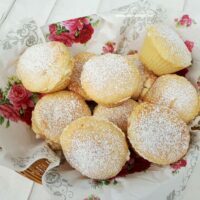 Especially if I baked them during the day to treat a friend or two to a sweet treat and I have any leftovers. This is the ideal recipe for a quick treat or for when you need to “take-a-plate-with” to a gathering. Prepping does not take long and baking is not too long as well. 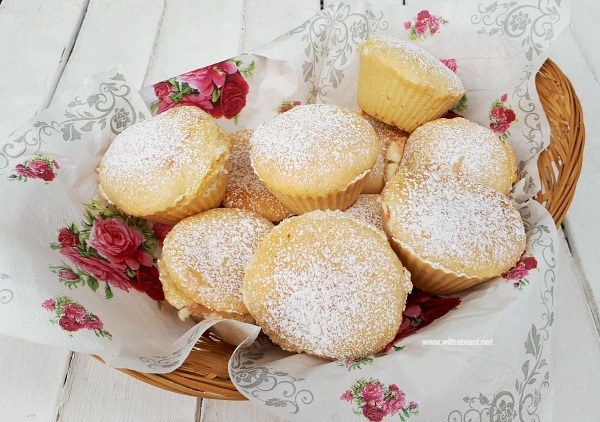 Although I prefer the Strawberry Jam Cheesecake Muffins cold, they are just as delicious slightly warm. 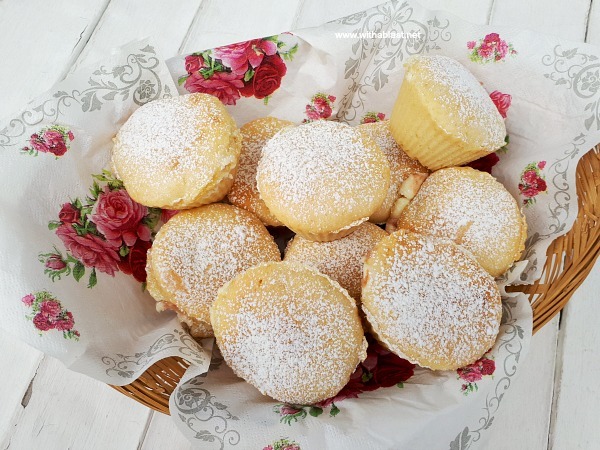 The Muffins are moist and stuffed with Jam and Cream Cheese and no additional spread or whipped cream is necessary. However, a dollop of whipped cream on top would make them a little more special ! 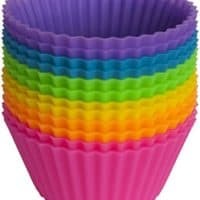 I think I have mentioned before, that I love baking muffins instead of cupcakes, as muffins usually do not get some kind of decorative topping – which I am an absolute horror in doing. 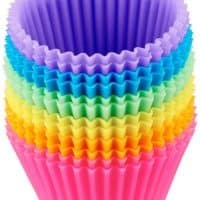 You won’t find a lot of cupcake or cake recipes on With A Blast. 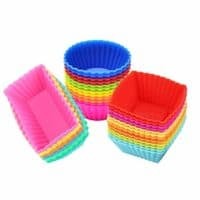 I do bake some cakes / cupcakes, but decorating / icing / frosting is never a fancy affair – plain and simple for me, thank you very much ! 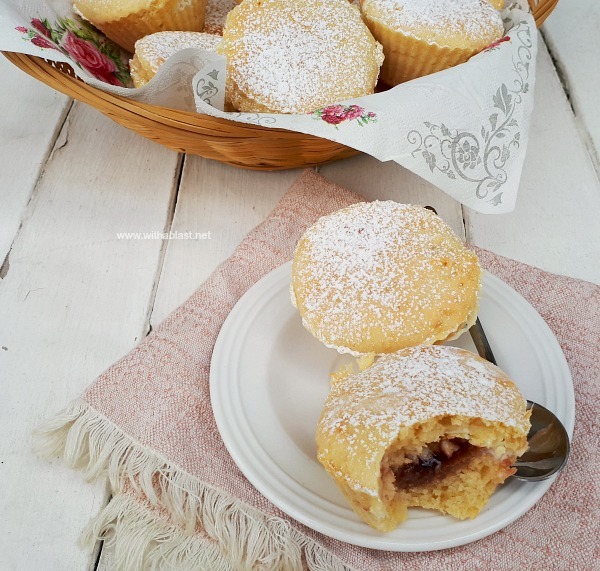 As with most Muffins these Strawberry Jam Cheesecake Muffins are best served on the day they were baked. Remove from the oven and transfer to a cooling rack to cool – dust with Icing Sugar (if using) and serve. Of course it's morning and of course I want one of these right now! Looks delish! Well it's evening here and I could go one for supper! They look tasty I never used o eat cream cheese now I love it!